Boy, if you haven’t heard of Ojai Valley Taxidermy (and why would you have? 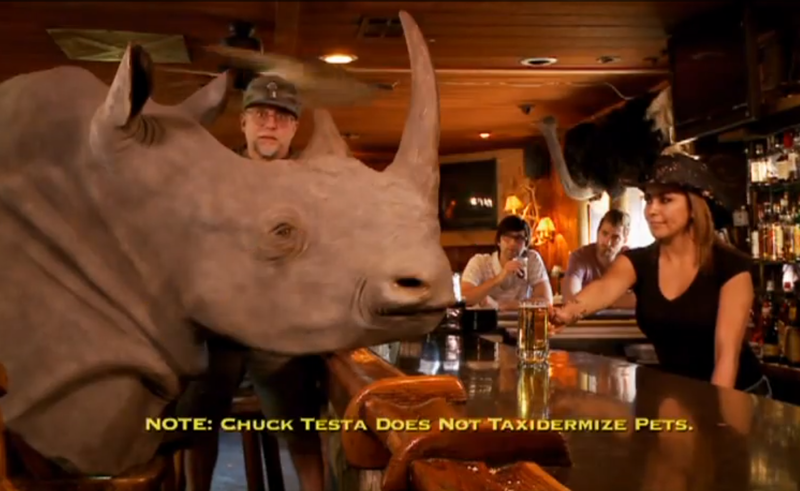 ), you will know it after this unintentionally hilarious one-minute commercial. Various locals spot an antelope driving a car, have a bear in their bed, spy a leopard on their deck and even glimpse a rhino ordering a drink. But actually, NOPE because they’re all dead! Best local commercial since this gem.